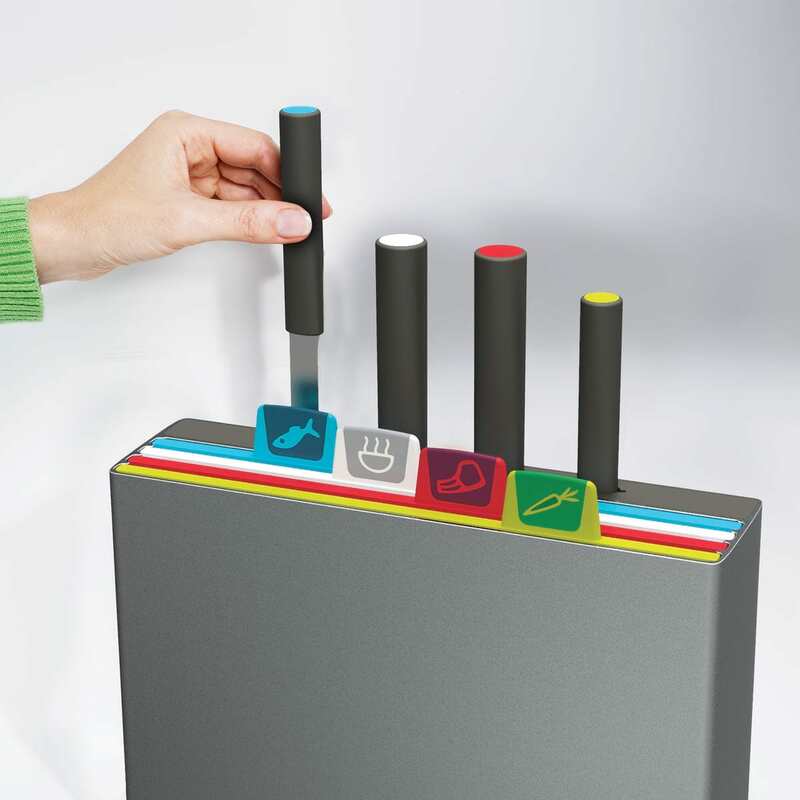 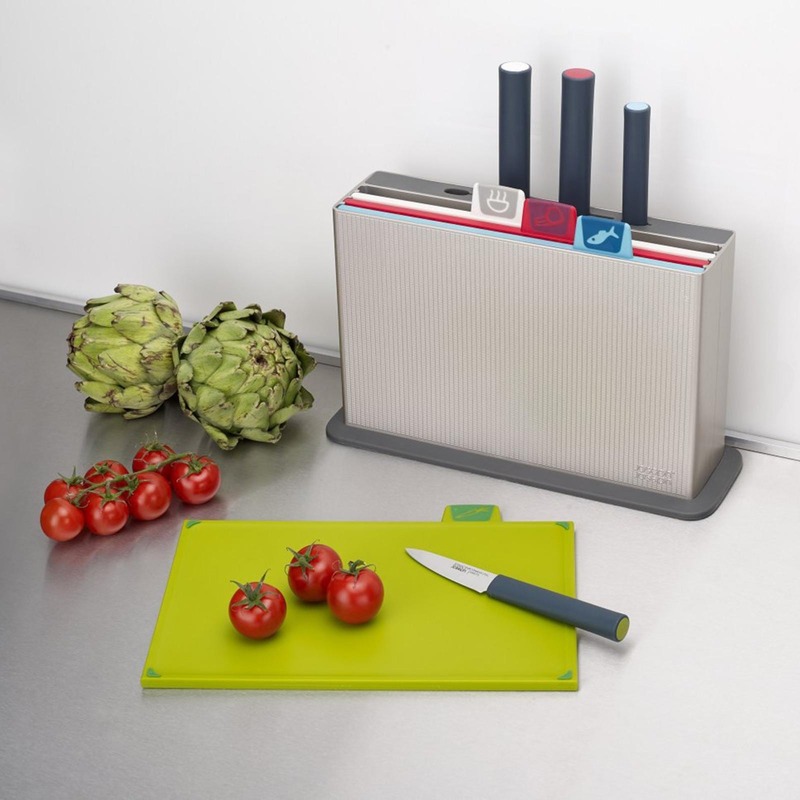 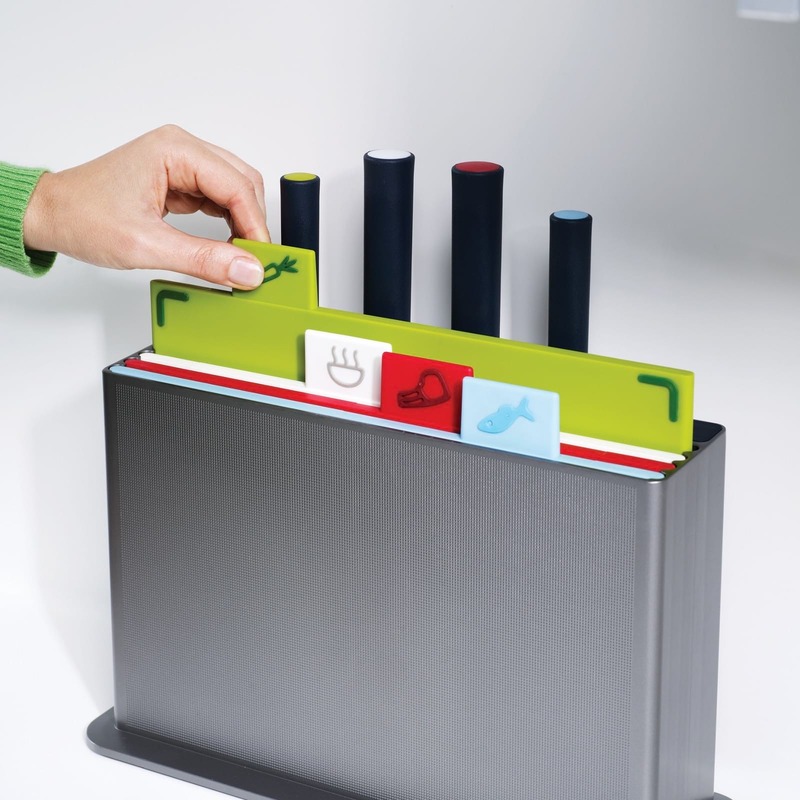 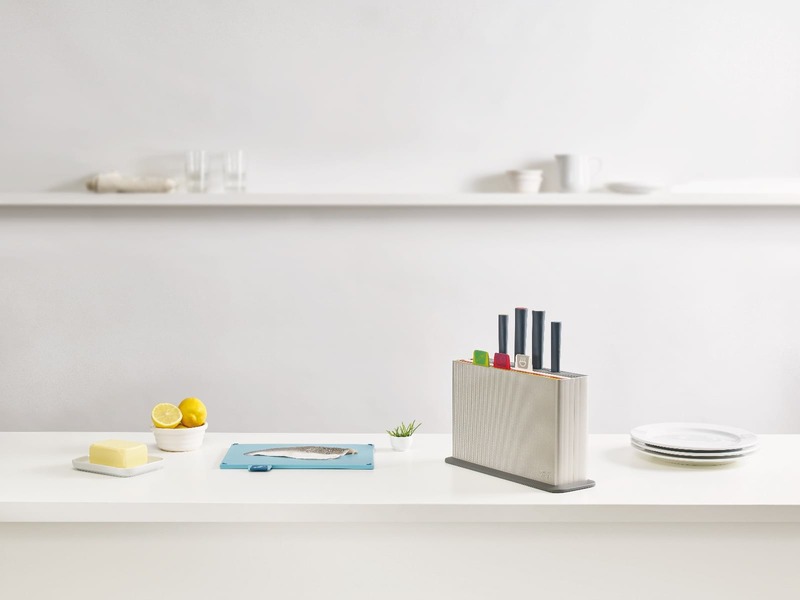 Index™ Advance is a version of the now iconic Joseph Joseph color-coded chopping board set which boasts all the same useful features but comes with four corresponding knives. 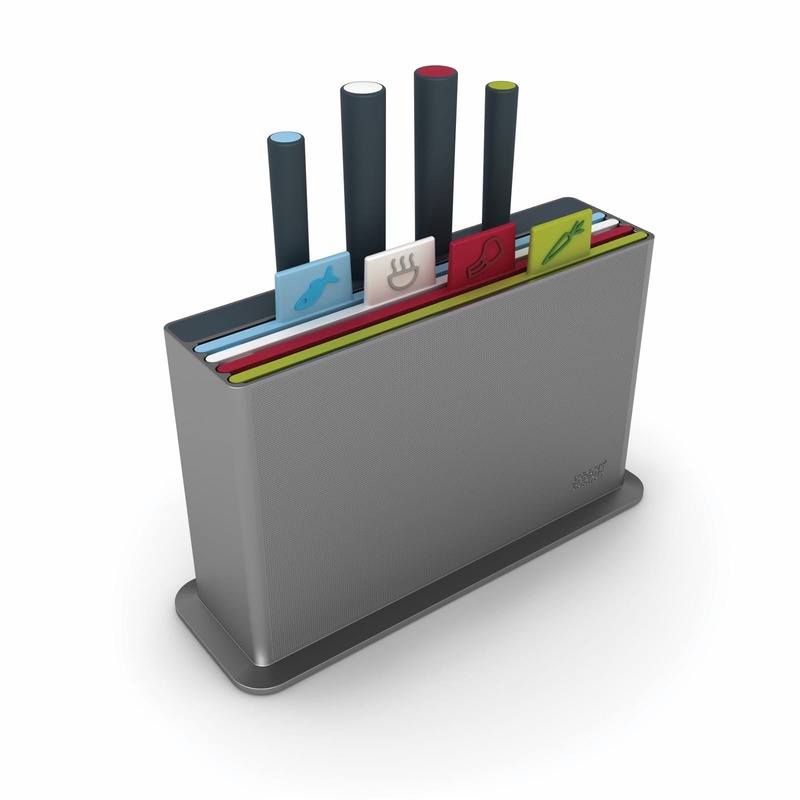 Designed By: Damian Evans. 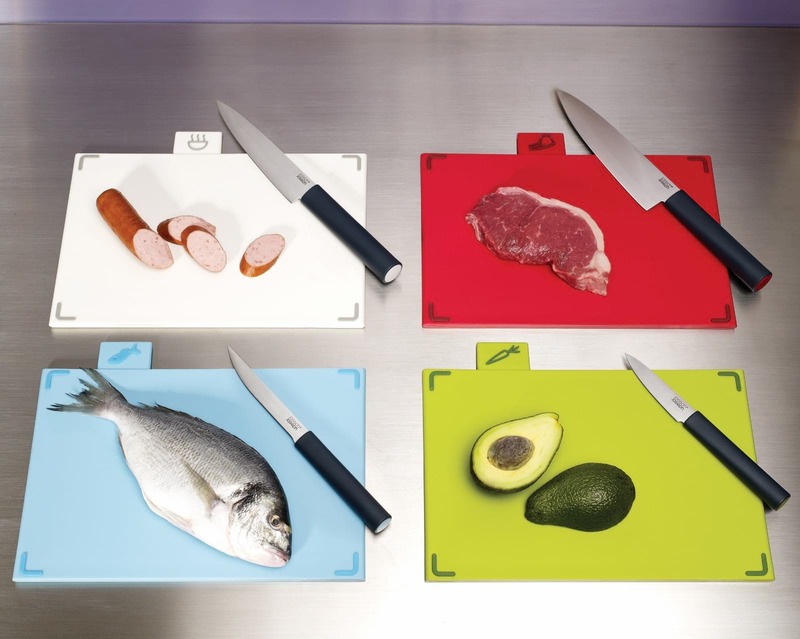 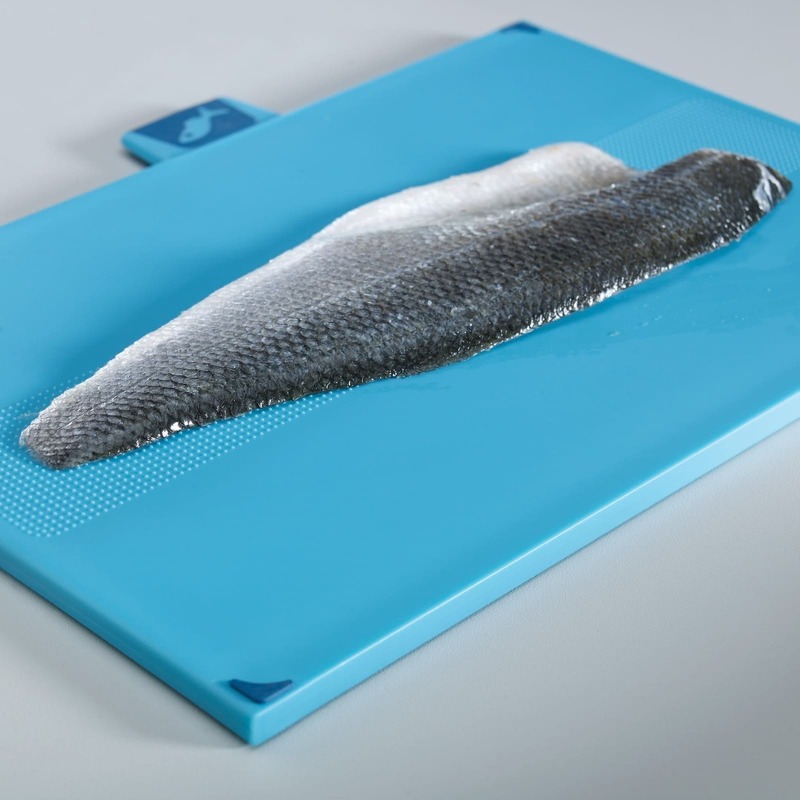 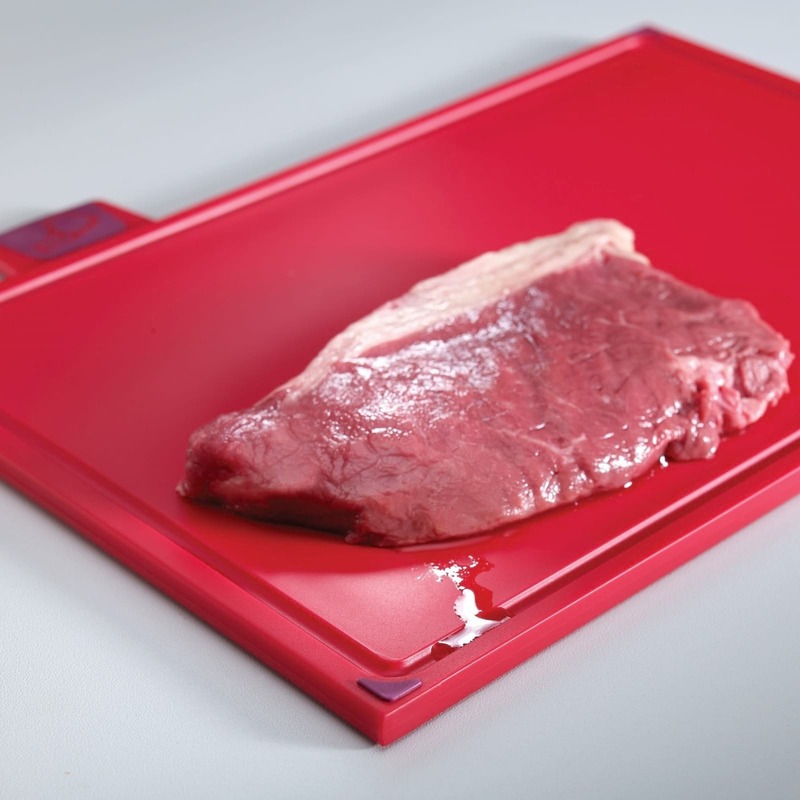 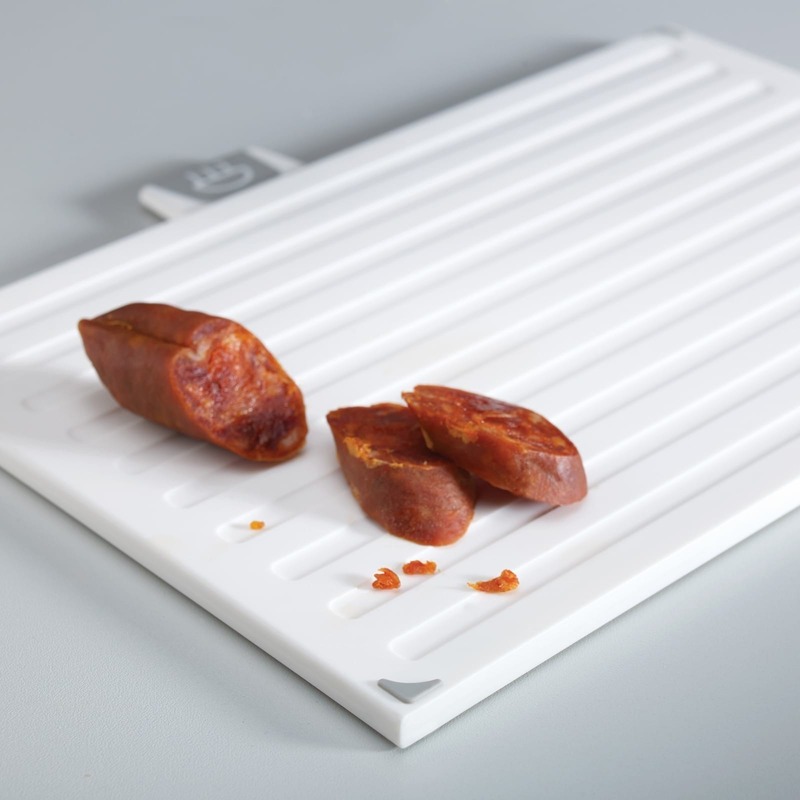 The color of the knives is adapted to the chopping boards, so you can spot immediately which board and which knife are suitable for vegetables, fish, raw meat or cooked food. 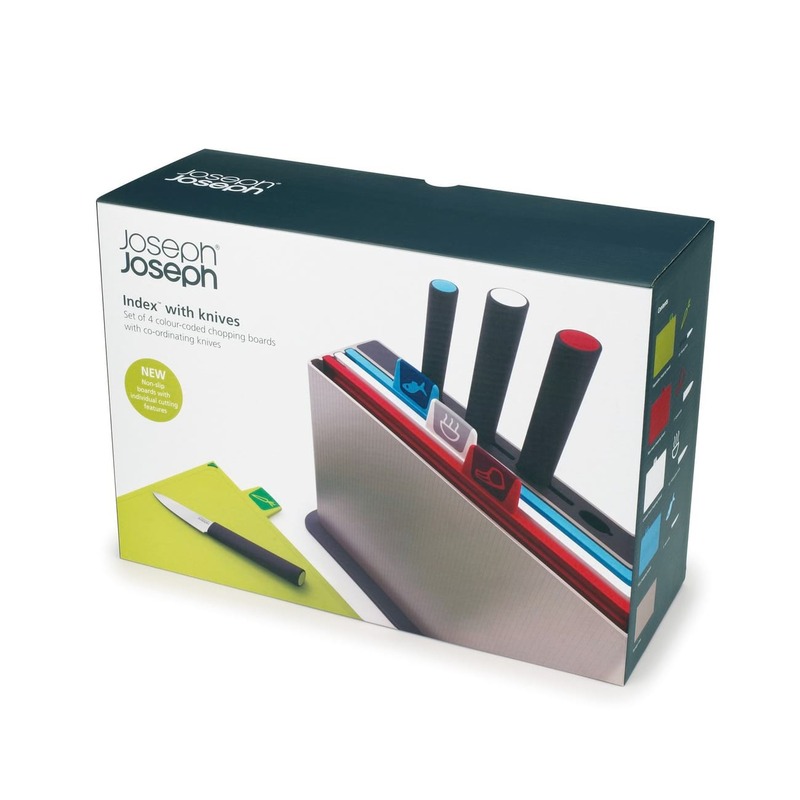 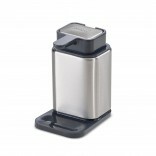 All knives are made of Japanese stainless steel and their shape is optimized for preparing the foods indicated on the boards.Joseph Joseph knives also have a comfortable handle that is easy to clean and maintain. 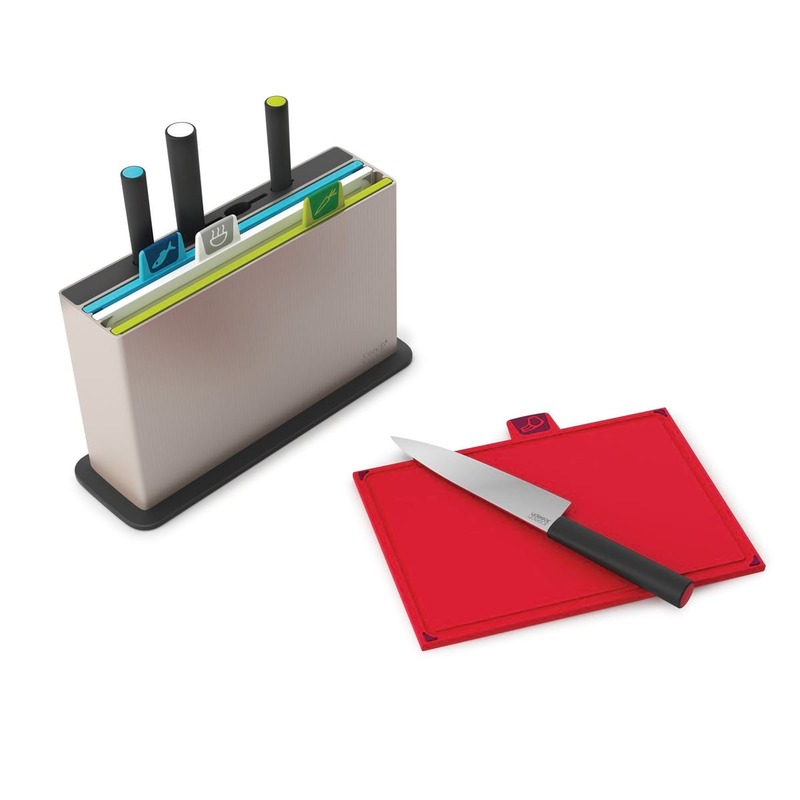 Set Includes: One base, four cuttings boards, and four kitchen knives. 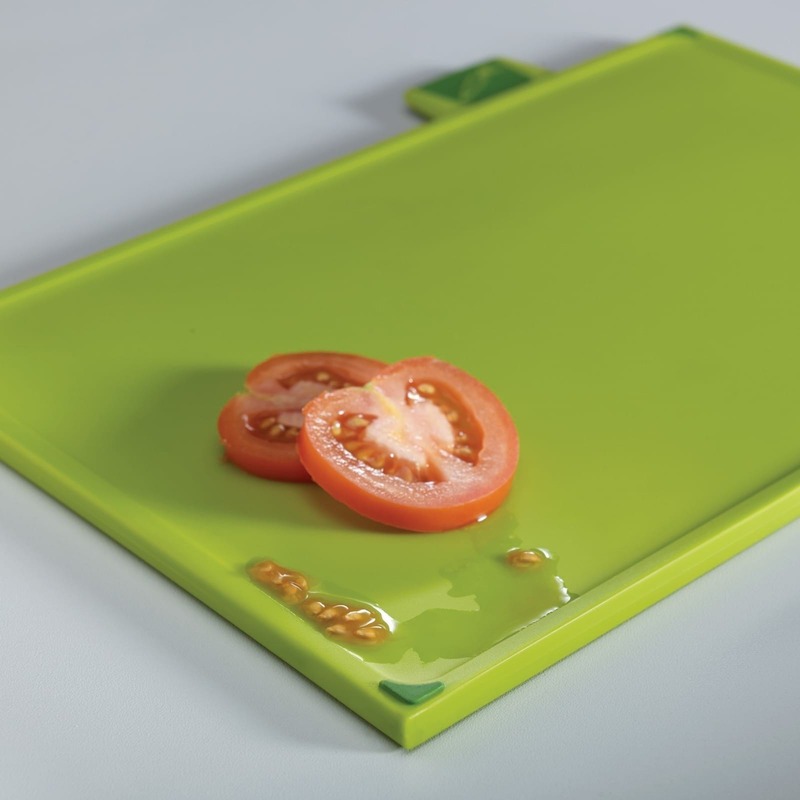 Dimensions Boards: 30 × 20 cm (12 × 8 inches).